Meet my newest obsession, the Saje Aroma Breeze Limited Edition Ultrasonic Diffuser. 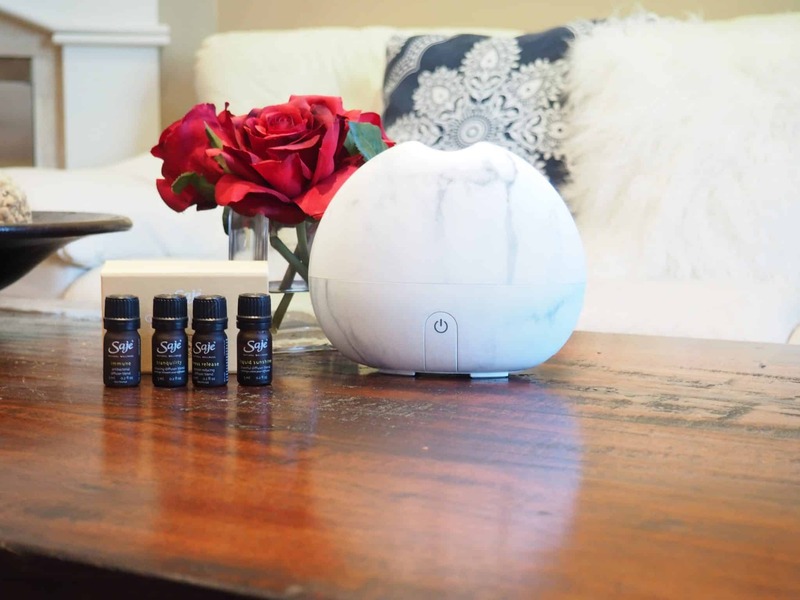 This sleek and elegant diffuser in a marble pattern not only looks like a stunning home decor piece but it actually helps reduce dust and other common allergens as well. 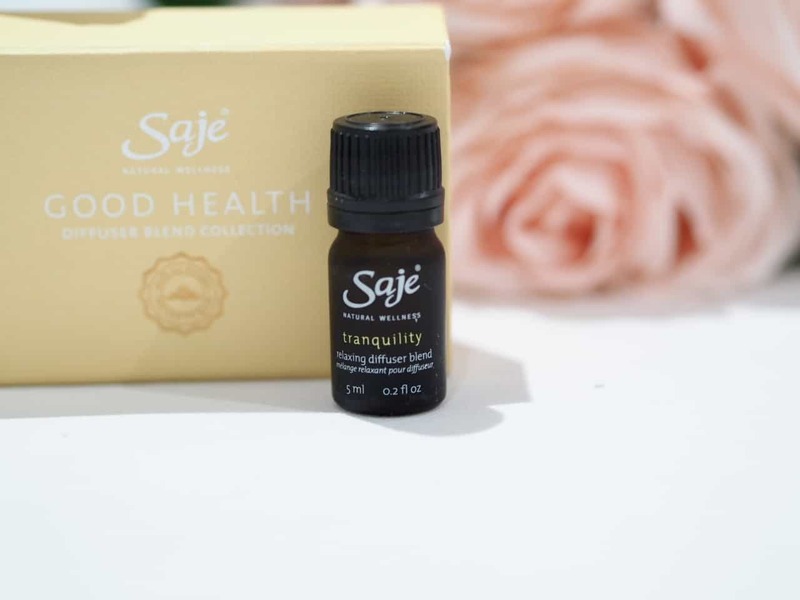 You simply add a few drops of your favourite essential oils and watch as it creates a pleasing, relaxing and aromatherapy atmosphere. Its heat-free design helps preserve the integrity of any oil you place in it, which allows for optimal benefits. It features a soft LED illuminating light that acts perfect as a nightlight. The light can also be turned off. I find this to be actually quite calming and soothing. When the water in the reservoir reaches a certain level, the diffuser automatically shuts off, ensuring its safe enough to use, even while sleeping. I love this diffuser. It is so stylish. I love the marble look. Since this is a limited edition diffuser, sadly it is no longer available. They do have the Aroma Breeze diffuser in white. They have a great selection of other diffusers that would look great with any decor. 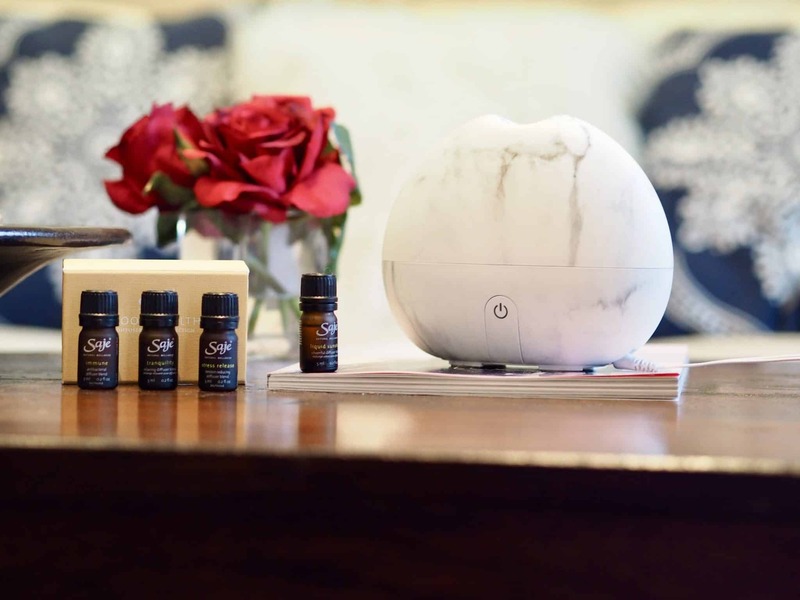 Diffusing essential oils into the air supports well-being through the sense of smell, as well as creating and enhancing a pleasant atmosphere. I love this diffuser. I love using it in the family room to help wind down before going to bed. A diffuser is great to freshen up your home without using plug-in air fresheners that are toxic and only mask the odours. The cold stream that omits through the diffuser instantly humidifies the air taking out all toxins. 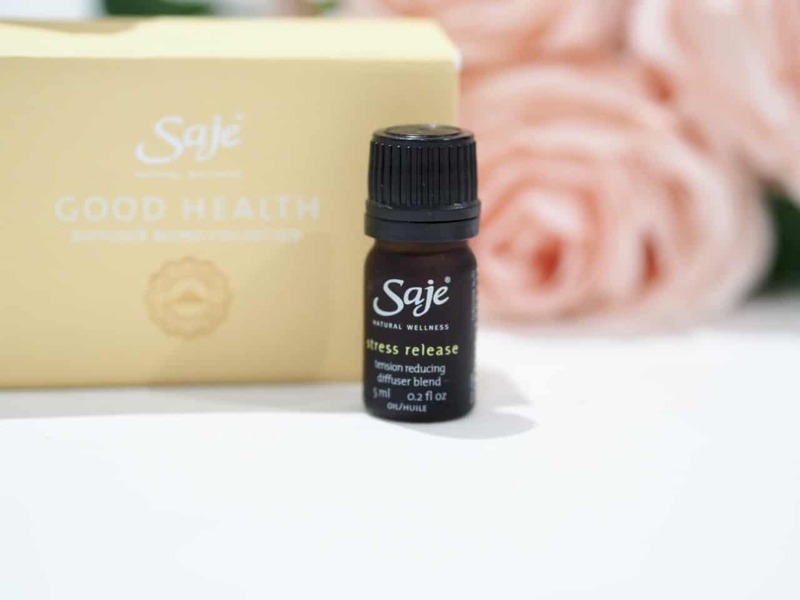 Although Saje has an array of individual essential oils, the Good Health Collection is perfect for those that like to experiment with different blends. 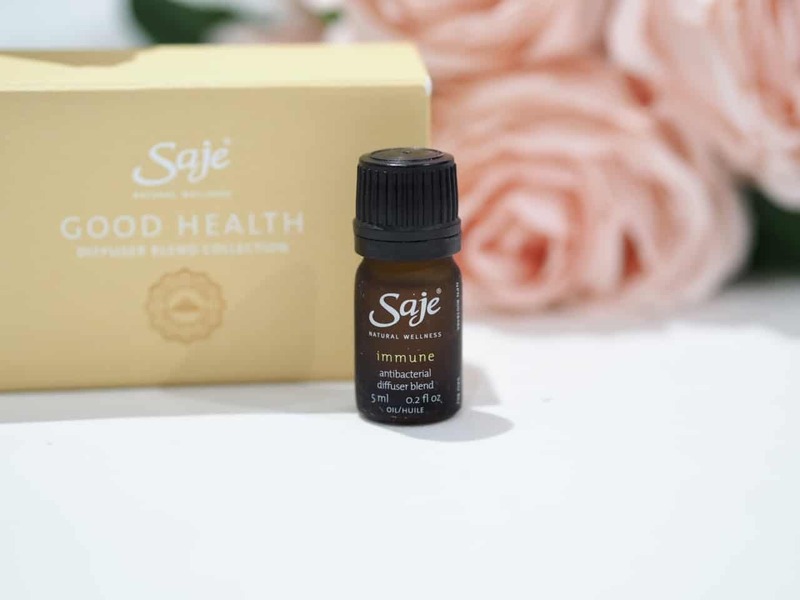 Create an oasis of calm and promote restful thoughts amidst the busyness of your day with this relaxing essential oil blend. Perfect for bedtime or when you want a little downtime. 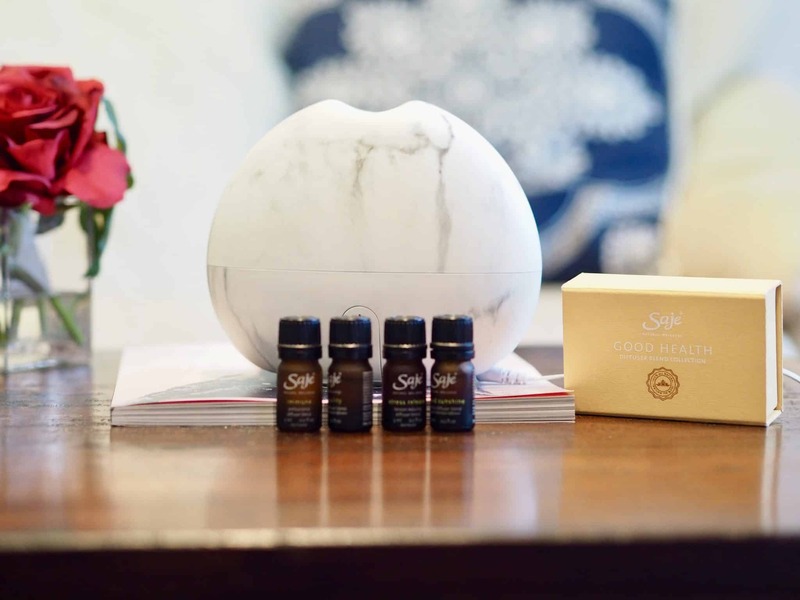 Relieve symptoms of flu such as colds and cough by diffusing the therapeutic benefits of comforting eucalyptus, warming cinnamon and soothing myrrh. I love this diffuser so much that I need to get another one for the bedroom. 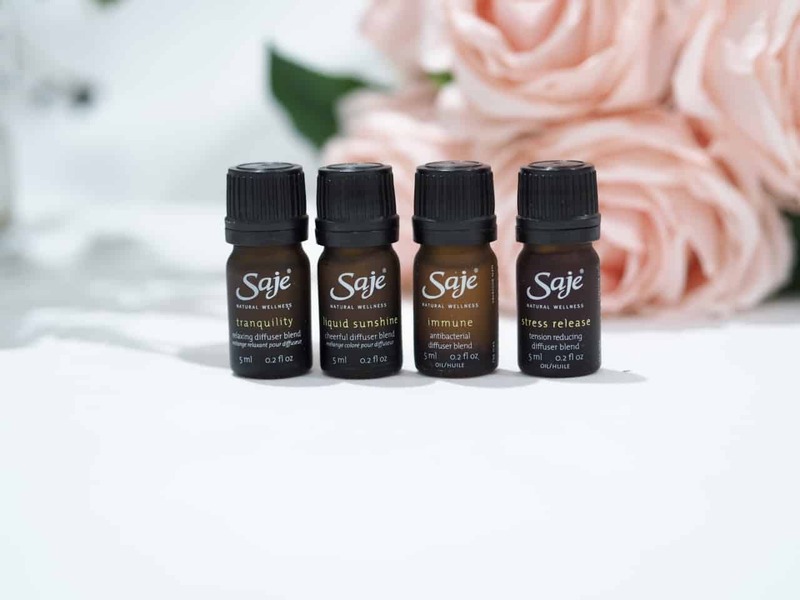 I highly recommend a diffuser from Saje. Do you use a diffuser? 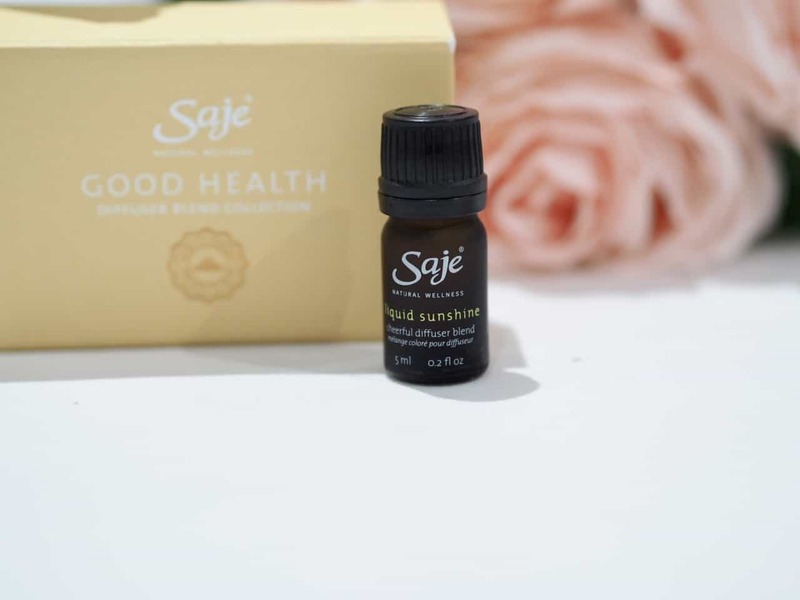 What are your favourite oil blends? I’ve been to a Saje store once in Ottawa and I wish we had one in Montreal! I’ve been looking for an Aromatherapy diffuser and this one is so pretty!! 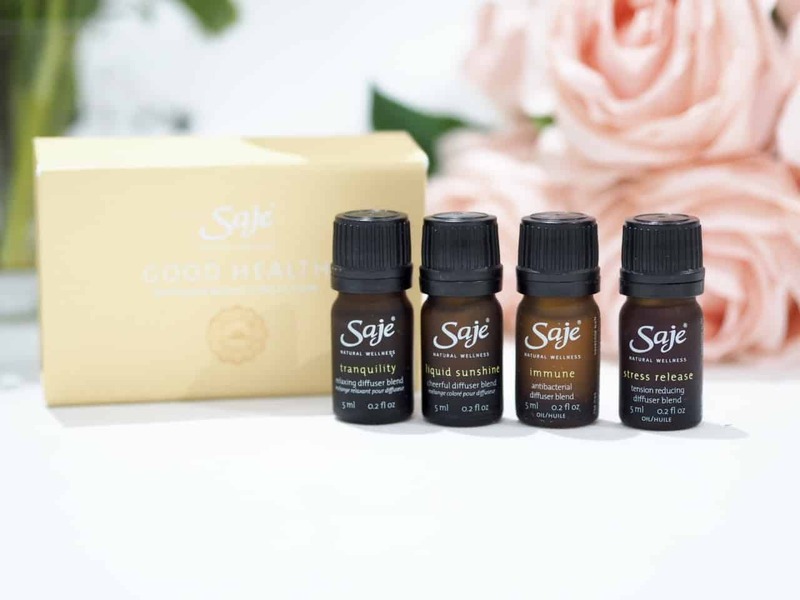 I’ve been looking on Amazon but haven’t found something I’m sold on..
I’ll have to pick up some of these oils next time I visit a Safe store…! No Saje in Montreal? Oh no!! Do they deliver to Montreal? Thanks for the excellent review. I was just about to buy a new diffuser. I use usually mixtures where there are oils of coniferous plants. Such smells create the impression of a wild forest. Interesting product, not seen these before. Thanks for this. Hi! Love your posts 🙂 I just started my blog and thank you for liking some of my posts!